Darkness Black T-Shirt | BUDK.com - Knives & Swords At The Lowest Prices! The true face of evil depicted in every nuanced, spine chilling detail - a Reaper with true wisdom, gathered through all time. The back of the t-shirt features a depiction of Death’s hourglass, showing you how much time you have left here. 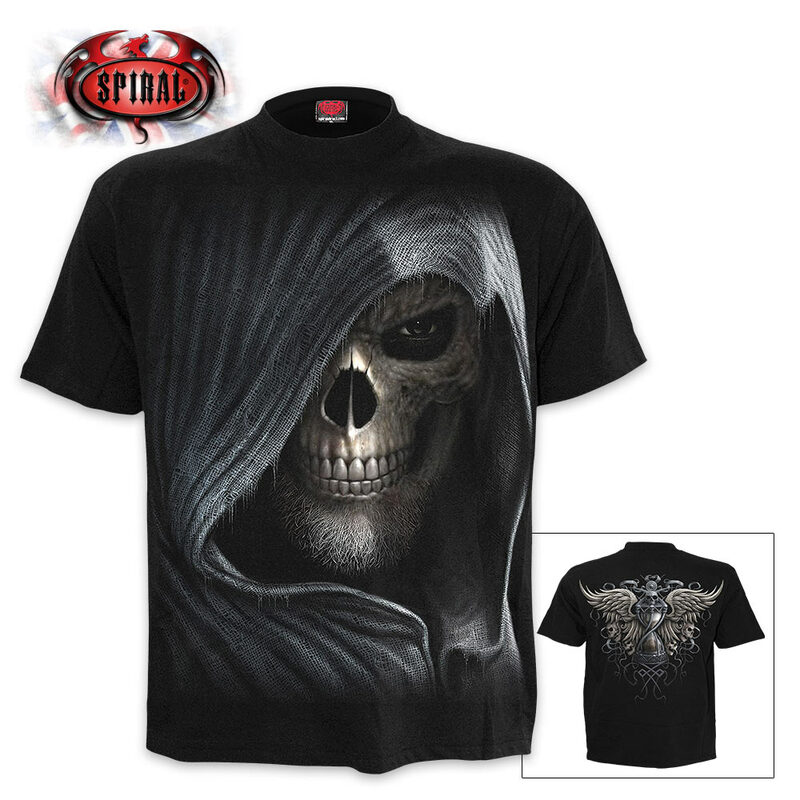 The detailed, original artwork is printed on high quality jersey material using skin-friendly, Azo-free reactive dyes. 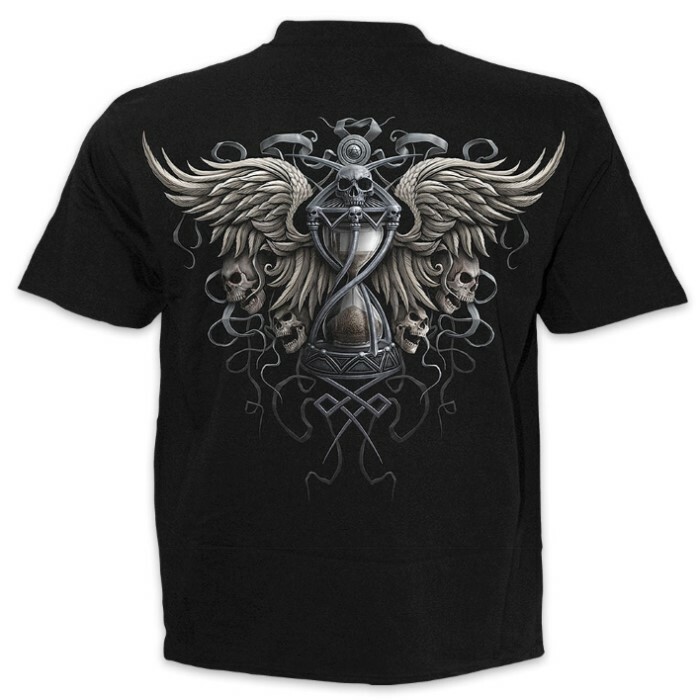 Add that touch of Gothic elegance to your wardrobe with this incredibly comfortable, great-looking shirt.